deserving of the man it honors. "I'd like to be remembered as the only man who lived to be 250 years old! (laughs) And someone who had a chance to do what he always wanted to do. I like to think I'm a guy who wasn't going to make it, and I did. So it's good to buck the odds. If that means anything to anyone, I will be grateful from the beyond!" 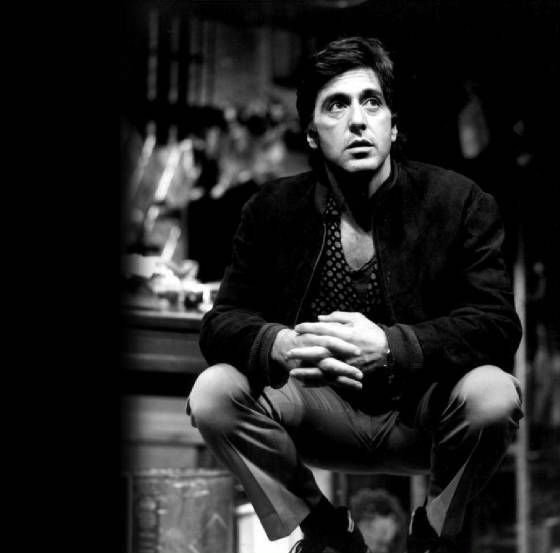 "Because it's not about money, it's never been about money, with Pacino. It's about how he feels inside his body and his head. It's about his art. 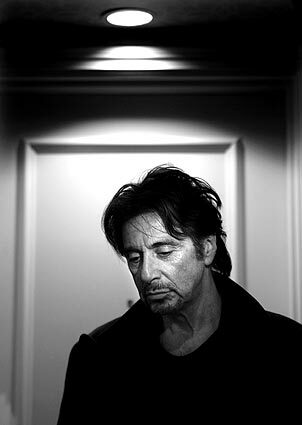 And in an age of commerce, Al Pacino just may be the last artist standing." “I think there comes a point where you have to state who you are. You can't run away, you can't hide, really. Finally, you just have to say, Here I am." "He's got a talent, and a career, that puts many actors to shame -- for good reason. 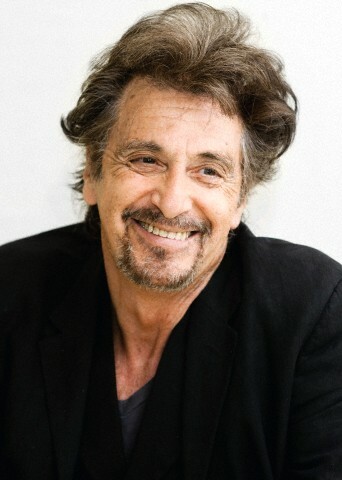 Al Pacino is a national treasure, the royalty of a generation of actors we might never see again, who along with Robert De Niro and Dustin Hoffman, helped define 1960s and '70s angst and alienation in American cinema...."
Source: Hollywood Celebrates Al Pacino: An American Cinematheque Tribute, Written by Marilyn Moss for the Hollywood Reporter, Jan. 20, 2006. 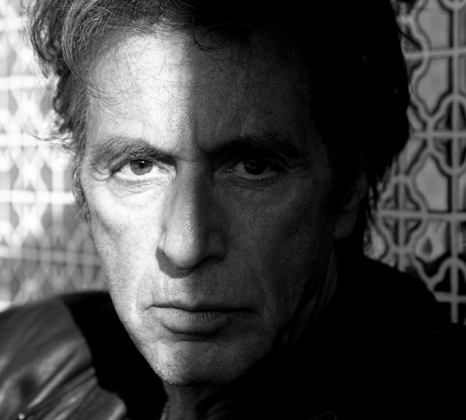 Catch Pacino Worldwide's coverage at the Marc Aurelio Acting Award Page exclusively! 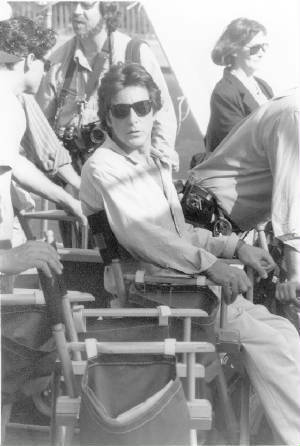 See more of this film and others on the Filmography Page! 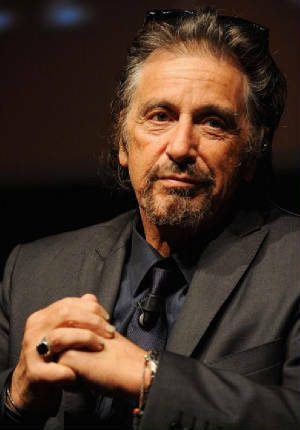 "By age 3, I was doing Al Jolson, he said, (accepting the AFI's Lifetime Achievement Award, 2008) "I found, in the theater, this place I could go to. I found this peace." See more from Al's stage work on the Playography Page! 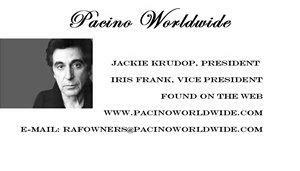 We'd like to thank the endless pouring of emails from fans thanking us for Pacino Worldwide as well as Lawrence Grobel, Al's friend and author of Al Pacino: In Conversation with Lawrence Grobel, for support of our efforts to bring Pacino Worldwide to Al's fans around the world.